Lunch with Faculty (LWF) strives to provide undergrads wtih the opportunity to talk to faculty in a relaxed environment to ask them question about their career path, research opportunities, and more, over some lunch. 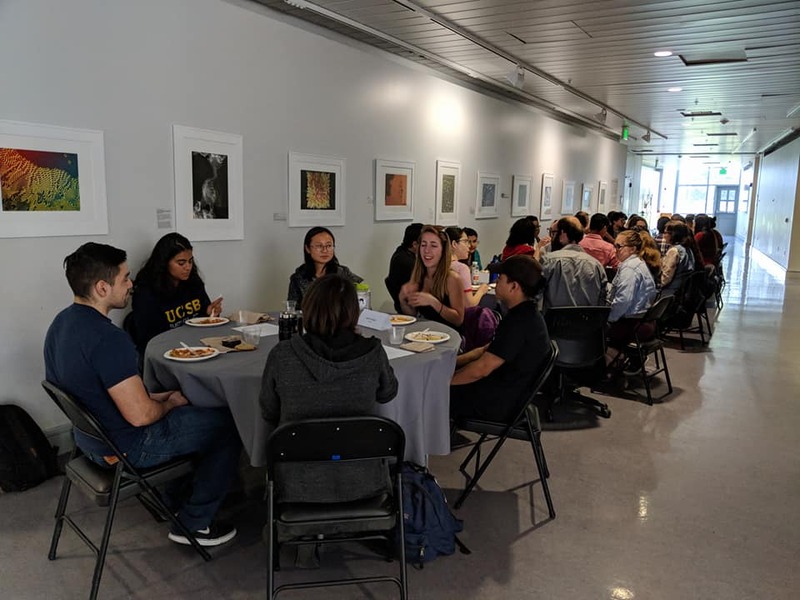 ​In an effort to connect undergrads with prospective mentors and to hear the various path towards grad school, we organize Lunch with Grad Students every Winter quarter. Ranging from nice jeopardy nights to crazy Taco Tuesdays, Sacnistas get together outside GBM's to take a break from the crazy college workload and enjoy each other companies. Every year we try to take as many members as possible to the SACNAS National Conference. The conference serves as an amazing opportunities for UCSB Sacnistas to network with other Sacnistas from across the country. Many times our members meet their long term mentors at these conference and gain valuable information that helps them achieve their goals.